On top of all of this, Tim is a compassionate and deeply spiritual individual. So when had the pleasure of sitting down with Tim, we talked about his formation into a professional parkour champion and ethical vegan. “As you become an adult you lose that childish nature, and think it’s important to keep that. Parkour was…so cultivated that for me because it kept me seeing the world as a playground and you get…as kids we want to play around, and climb on things, and play fight. 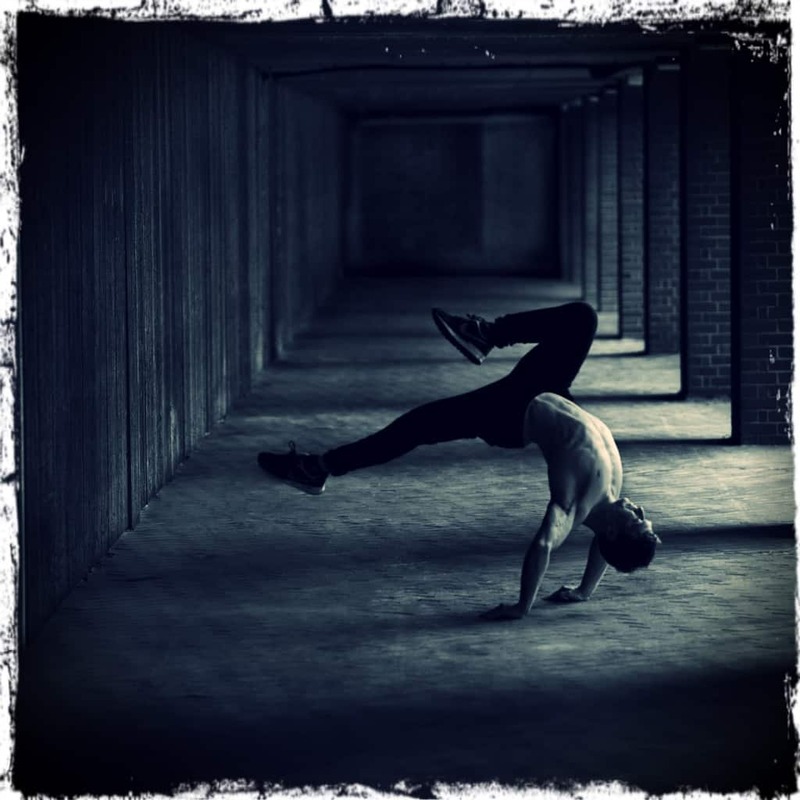 “It’s an interesting one because it wasn’t really a potential…when I started parkour you couldn’t really be a professional parkour athlete so we kind of paved the way to professionalism. Within 9 months of starting, I got into a team that was just at the brink of becoming professional. I traveled to Iceland. … I did a job out there for Nokia, and I was [saying] ‘Oh, I could get paid and travel, and do this’. and I got into university to do a math and physics degree. I do really enjoy math but I decided to defer and pursue this, and it worked out. “It’s kind of a split thing. You know, diet brings out a lot of emotion in people. but, everywhere I go, every place I visit, there’s kids that hit me up with a vegan…through my introduction to some of my videos. And then you get the other people that say it’s not relevant speaking too much. They just want to see me do parkour. Then I did an interview on YouTube with the founder of parkour, David Belle, and it was, no one had interviewed him in years, and it was quite the big thing in the community. I hope you enjoyed hearing from Tim on his journey into being a parkour champion and vegan advocate. Be sure to check out the video for some of his insane moves and stay tuned to the series for more with him including his tips on qualifying for American Ninja Warrior and what he eats in a day. find links to his YouTube channel, website and other social media below to keep up with this impressive antics. I'd love to hear your thoughts on what Tim shared in the comments below. Tim Shieff is a wonderful person. Tim shows the world that people can have strength and good health even when vegan. I will learn more about Tim. I was marshalling a vegan ultrarun a few weeks ago, 55km run over all the peaks in Snowdonia over 3000 feet. Tim was competing but I had no idea until after the race was over and saw him post about it. He ran right past me without me even realising which was probably for the best as I might have had an embarrassing fangirl moment! I love that he went vegan primarily for the animals and then realised the health benefits and not the other way round. Can always count on BSV for in-depth interesting interviews! Then went to wikipedia article about him, it did mention he’s vegan, but only one link, only a 60 second interview with peta, so I just added a second one to the youtube version of this interview. Not as a “shill” for BSV but because, as I explained in the wikipedia edit, because it’s much more in depth including how and why he went vegan.